Your Whitefish Bay, WI Fence Contractor for 36 Years! Your Whitefish Bay, WI Fence Company for 36 Years! We’ve been installing fences for Whitefish, WI area residents since 1977. We have an A+ BBB rating and provide free and timely estimates. Call us today! 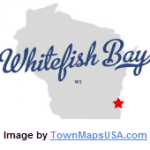 We always enjoy working in Whitefish Bay, WI. Between its position on the shore of Lake Michigan and the care and attention this community of 14,182 people puts into their urban forest, this is one of the prettier communities in Milwaukee County. Thanks to their conservation strategy and hard work, Whitefish Bay has been awarded status as a Bird City of Wisconsin, a distinction awarded to communities who take steps to protect local birds. We particularly enjoy seeing the red tailed hawks that visit the village during the warmer months. As a Bird City, Whitefish Bay does not restrict wild lawns and landscaping. However, it does have some guidelines for controlling invasive species and maintaining the safety of community trees. Whitefish Bay watches out for garlic mustard, buckthorn, red canary grass and the gypsy moth in particular. Like the rest of Wisconsin it also has to watch out for the Emerald Ash borer beetle. Since we are often involved with helping people make decisions about their lawns and landscaping we pay close attention to these kinds of issues in all of the communities we visit. As a result we’ve compiled several useful resources for these issues. •	Milwaukee County’s List of 64 invasive plant species, with pictures. •	Whitefish Bay’s advice for dealing with gypsy moth populations. •	Contact numbers for reporting gypsy moth activity in Milwaukee County. •	A comprehensive guide to helping lawn trees with gypsy moths from the UW Cooperative Extension. •	A video about spotting an Emerald Ash borer infestation. •	Information on Emerald Ash borer insecticides. •	Whitefish Bay’s policy notice regarding hazardous trees. Since Whitefish Bay is so concerned with the beauty and conservation of the community they, like most communities, have careful guidelines for homeowners who wish to build fences. In order to build a fence you must have a survey done, and you will need a permit. Whitefish Bay also has restrictions on fence height that you should know. Front yard fences must not exceed 3.5 feet in height, side yard fences must not exceed 4 feet in height, and rear yard fences must not exceed 6 feet in height. Permits only last 6 months, so it is important to finish up your project fast. If you’d like help from a professional fence contractor call us or fill out the form to the right. We’ll be more than happy to give you a free estimate on your project!